1. How does PaperEditNow.com work? Very simply! PaperEditNow.com employs experienced and expert proofreaders who will ensure your document represents the best of your work. To get started, click on the "Edit Now" tab from any page of the PaperEditNow.com website. Choose your desired document return time. Enter the required information into the form, upload your document, and submit the form. On the resulting page, enter your billing information and pay via any major credit card or through your bank account using PayPal. At this juncture, PaperEditNow.com will proofread and edit your document. When complete, your document will be returned to you via email from support@papereditnow.com to the email you provided on the order form. It's that easy! 2. What types of documents are PaperEditNow.com's areas of expertise? Almost anything! Specifically, we specialize in academic papers, business documents, admission essays, articles, dissertations/theses, company brochures, books and novels, resumes, short stories, advertisements, poetry, written correspondence, legal documents, and website content. If you have a document that is not listed here, just contact us! 3. What file formats does PaperEditNow.com accept for proofreading and editing? PaperEditNow.com accepts .doc, .docx, .txt, .rtf, .ppt, .pptx, .xls, .xlsx, .html, and .htm. Some file formats will not allow "Track Changes." As such, document editing will be completed on a "smooth copy" of your document. If you have any questions regarding your file format, please contact us. 4. How will I know what has been revised, changed, or suggested in my returned document? PaperEditNow.com utilizes the "Track Changes" function in Microsoft Word to indicate edits on any returned document. To learn more about "Track Changes," please visit Microsoft's Support Site. For other accepted file types (PowerPoint / Excel), "Track Changes" is not available and the document will be returned as a smooth copy. 5. How is my document returned to me once it is completed? Once complete, PaperEditNow.com will return your document to you via the email address provided on your order form from support@papereditnow.com. To ensure you receive your document without delay, please add this address to your contact list to avoid any possible spam email filtering. If you have not received your document in your selected return time, please check your spam email folder. If you still have not received your document, please immediately call customer support at (202) 810-3497. 6. My document file won't upload. What should I do? Please call customer support at (202) 810-3497. 7. What is PaperEditNow.com's 100% satisfaction guarantee? 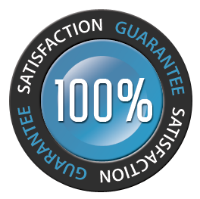 Please click here to read about PaperEditNow.com's 100% satisfaction guarantee. 8. I have a large document (over 50 pages). Does PaperEditNow.com offer a volume discount? Yes, please call (202) 810-3497 to discuss your specific need, receive a discounted quote, and discuss longer turnaround times. 9. What is PaperEditNow.com's two-proofreader CrossCheck Service? PaperEditNow.com's two-proofreader CrossCheck Service comes standard with any document order. The two-proofreader CrossCheck Service ensures your document receives the best possible review by having two different proofreaders independently review your document. 10. I don't have a PayPal account. Can I still use PaperEditNow.com's services? Yes! PayPal is simply a credit card transaction service. As such, you can securely pay without a PayPal account using any major credit card. If you have a PayPal account, you can pay directly from your personal banking account or via credit card as well. 11. What credit cards does PaperEditNow.com accept? PaperEditNow.com uses PayPal to process credit cards transactions. PayPal accepts all major credit cards. Please visit PayPal.com for more information. 12. What languages does PaperEditNow.com support? PaperEditNow.com only supports documents in English. 13. I have a problem using PaperEditNow.com. Who should I contact? Please contact customer support at support@papereditnow.com or call (202) 810-3497. 14. What are PaperEditNow.com's business hours? PaperEditNow.com is open 24 hours/day, 7 days/week, 365 days/year. Document editing can be ordered at any time, and the document will be returned in the return time ordered. PaperEditNow.com's customer support hours of operation are 6:00 AM to 6:00 PM EST Monday through Friday. 15. I am concerned about the privacy of my document as it contains sensitive information. Can I be assured that my document will remain confidential while utilizing PaperEditNow.com?